On October 18, 2008, C-Vision with Autodesk has organized the alias marketing activities in Nanjing University of Science, which invited the Alias technology and experts of the PanAsiaTechnicalCenter, ShanghaiAutomotiveTechnicalCenter, and other well-known Chinese auto enterprises. On November 1, 2008, C-Vision with Autodesk and DongHuaUniversity has organized the alias marketing activities, which invited the alias technical experts of ShanghaiAutomotiveTechnicalCenter, Yanfeng Visteon, Han Feng Visteon, and other well-known corporations to discuss alias. On November 17, 2008, C-Vision with Autodesk and TsinghuaUniversity has organized the alias marketing activities, which invited the users of Alias and experts of ShanghaiAutomotiveTechnicalCenter, Beiqi, Beijing Futian, and first-line domestic car makers. Alias training of Shanghai C-Vision Industrial Design Consulting Co., Ltd is divided into peacetime training classes and weekend classes for the convenience of the timing of the trainees. At the same time, we will be training courses for each class according to the preparatory phase of consultation with the appropriate application of information in a timely manner with the students, and then determine the date of the class. At present, we are preparing normal classes. You are welcome to Consultation and registration. 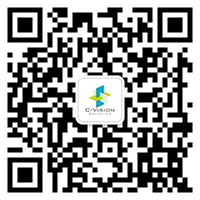 If the students have a provisional time of adjustment, you can contact with the lecturer, at the same time if you have any ideas and views in C-Vision, you can be with us. We will analyze the discussion to improve; the growth of C-Vision can not do without your attention and support, thank you! The contact method has the demonstration in the company main page.